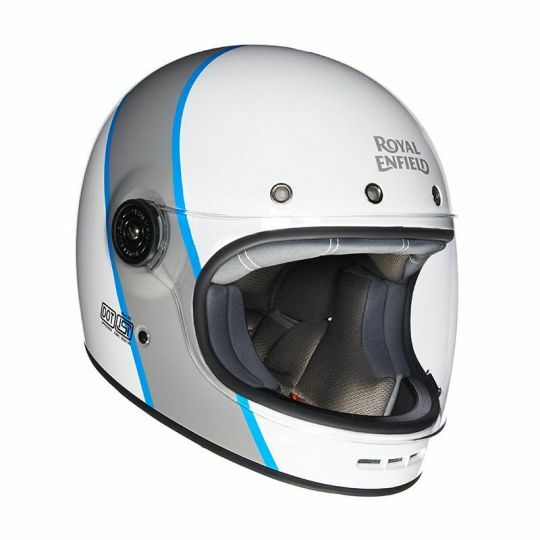 Royal Enfield has introduced its new range of retro-styled helmets. Available in two designs - 'Street Prime' and 'Drifter' - the helmets are of the full-face variety and come with ISI and DOT certification. They can either be booked through the company's official website or other e-commerce platforms like Flipkart and Myntra. The Drifter has been priced at Rs 3,500 while the Street Prime is slightly more expensive at Rs 3,700. While the 'Street Prime' range is another addition to the brand's Street series, the 'Drifter' takes its design inspiration from the 60s. Both are available in four different designs each and has been constructed using a fibreglass shell. The Street Prime gets four ventilation ports (3 intakes, 1 exhaust) while the Drifter gets six (5 intakes, 1 exhaust). The Drifter series also gets a wide eye port for increased field of view.